HONG KONG -- Typhoon Mangkhut wreaked havoc on the northern Philippines and southern China, leaving dozens of people dead and forcing millions to evacuate. 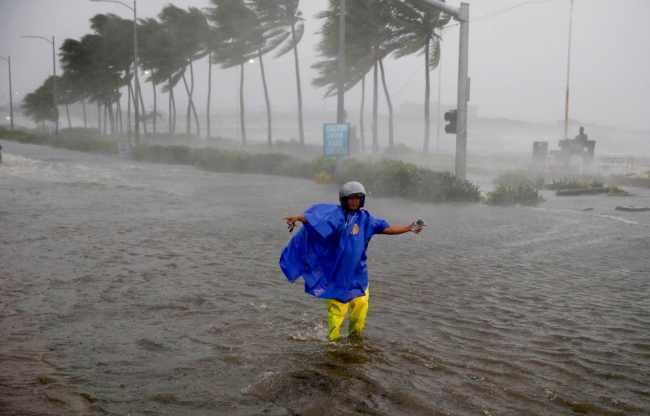 The massive storm made landfall on Saturday on the northeastern tip of Luzon island in the Philippines with sustained winds of 205 kilometers (127 miles) per hour and gusts of 255 kph (158 mph). It then moved on to Hong Kong and elsewhere in southern China. Chinese state media cited the Guangdong provincial meteorological station as saying that by Sunday evening, more than 2.4 million people had been relocated and nearly 50,000 fishing boats called back to port.